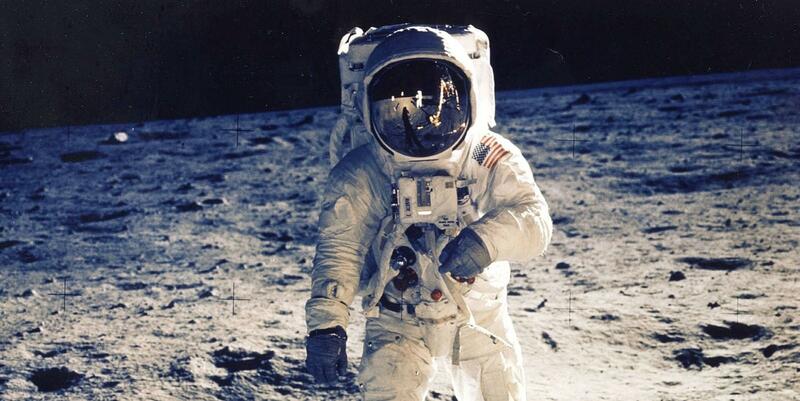 Neil Armstrong is reflected in Buzz Aldrin's helmut, during the first moon walk, July 20, 1969. The Kalamazoo Concert Band's final concert of the season will mark an historic anniversary: the 50th anniversary of the first moon landing in July, 1969. Along with selections including music from John Williams' Star Wars, Offenbach's Voyage to The Moon, and Todd Stalter's Ignition, projected images from NASA's missions will accompany the music. Michael Keeler, a senior at Portage Central High School, will appear as the winner of the KCB's Youth Soloist Competition. Tom Evans discusses the concert with Cara Lieurance in this interview. An interview with Tom Evans, director of the Kalamazoo Concert Band. Dr. Tom Evans talks to Cara Lieurance about the upcoming Dancing On Airs concert, a collaboration between the Kalamazoo Concert Band and the West Michigan modern dance company Wellspring/Cori Terry and Dancers. Set for Feb. 23 at 7:30 pm at Chenery Auditorium, the free concert will feature three newly-choreographed works featuring Wellspring artists: the exuberant Minimalist Dances composed by Matt Conaway, The Solitary Dancer by Warren Benson, and the grand Incantation and Dance by John Barnes Chance. But, Evans says, the program never stays in once place too long, flitting from a Spanish dance, to selections from Chicago, to a Shostakovich waltz. An interview with Tom Evans of the Kalamazoo Concert Band. Kalamazoo Concert Band conductor Tom Evans and guest artists Harry and Ken Watters visited WMUK's studio to preview the Dec 7 'Holiday Spectacular' concert at Miller Auditorium with host Cara Lieurance. During the interview, the Watters added to the seasonal spirit by playing flugelhorn and trombone duos of popular Christmas carols. An interview with Tom Evans, Harry Watters, and Ken Watters. The Kalamazoo Concert Band opens its new season on Saturday with a 100th anniversary tribute to the great American conductor, composer, educator and performer Leonard Bernstein. Director Tom Evans and Cara Lieurance take a look at the program and the man who inspired it. Some of the music, like selections from West Side Story, will be very familiar, but there will be plenty of new material for the average listener, including the rarely-heard Dance Suite for Brass, which was his final composition. The Western Brass Quintet will also appear with the KCB in a suite from Bernstein's Mass.